The future of television once lived on my doorstep. 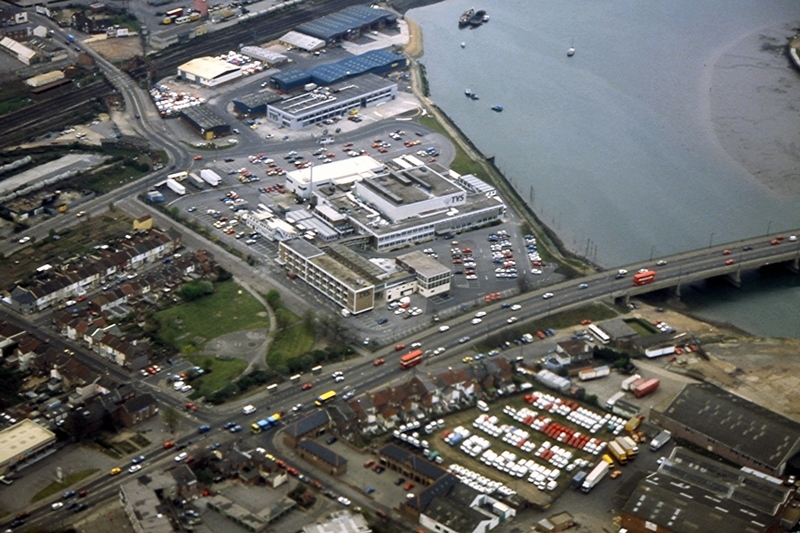 In the pre-internet, pre-digital days of the 1980s, Television South (TVS), the local ITV company for the south and south east of England, based in Southampton, the next city along from me, made programmes that were shown across the UK and the world, owned two TV studios in the UK - with a third in Hollywood owned with CBS - and owned MTM Enterprises, makers of “Hill Street Blues,” “St. Elsewhere,” and “Newhart.” Note the past tense – TVS had the kind of ambition that created its own obstacles to overcome, but before they tripped themselves up, they were captivating to watch. Franchises to run ITV companies in the UK were once run like a beauty contest – with each review, your company could take over a licence if you could prove you could provide a better service. In 1980, a group of TV producers thought they had better ideas for programmes than the existing Southern Television, which had a track record in children’s programmes, opera and local news, but were otherwise safe and conservative, and owned by companies based elsewhere, in London and Scotland. TVS expected a “shotgun marriage” with Southern (as had happened with Thames Television in London), but won an outright victory - Southern felt they did not need to provide enough detail on their re-application, until they were asked to do it again. TVS had some firsts – an episode of the 1982 science series “The Real World” became the first TV programme to be shown in 3D, using glasses given away with the “TV Times,” and Hayao Miyazaki’s “Laputa: Castle in the Sky” became the first Japanese animated feature film to be shown on British television, and in the south of England only. TVS also owned the UK’s first TV news helicopter, and made the wraparound live-action scenes for The Jim Henson Company’s “Fraggle Rock,” using a converted cinema in Gillingham, Kent. However, with so much money coming in from advertising – the south of England was more likely to watch the BBC, so TVS instead pioneered selling UK TV ad space based on the types of people watching - and fewer opportunities to make bigger programmes in the UK, TVS started to look around. 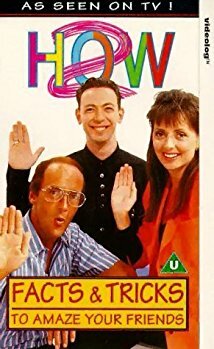 We nearly had a situation where a Southampton-based TV company owned either the film division of Thorn EMI, or even the biggest TV station in France, TF1. Instead, MTM Enterprises and other American companies were bought, in anticipation of the revenue from selling programmes worldwide, and TVS became a conglomerate named TVS Entertainment. 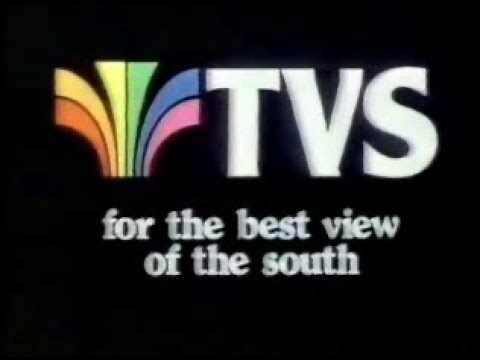 On screen, they were TVS Television – “Television South Television” – underlining that it was no longer just about the south. This growth happened just after the “Black Monday” stock market crash of 1987, and ahead of the global recession of the early 1990s. Not making enough money from selling programmes as they had hoped, Job losses followed, and the companies they bought were being sized up for sale again. 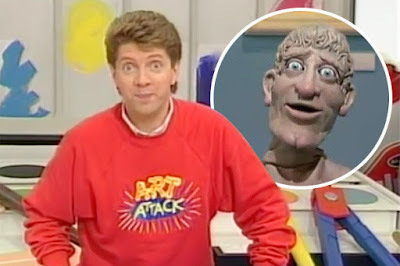 In 1991, it was the turn of TVS to defend its own ITV franchise. This time, instead of only relying on your track record, or future plans, the Government had introduced a blind bidding process. TVS won the programming round, but they bid £59 million – an amount they would have to pay each year. They won this round too, but they lost their franchise, their business plan having been judged to be unsustainable - they bid more than they could realistically pay. The company that won, Meridian, bid £36 million – now, with the internet and digital TV turning the system upside down, each ITV region pays a token £10,000 each per year. What remains of TVS is hazy memories, and hazy video recordings posted to YouTube. 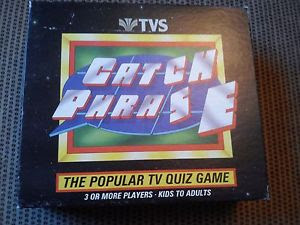 TVS was bought by IFE, a company owned by the fundamentalist Christian preacher Pat Robertson, launching The Family Channel using the TVS library – this later became the game show channel Challenge, helped out by the repeat showings of “Catch Phrase.” As IFE was bought, TVS was passed through 20th Century Fox, Saban International (the “Power Rangers” people), and its library is now owned by The Walt Disney Company. Reportedly, the paperwork for the programmes has been mislaid, meaning it is impossible to show them, meaning a whole period of UK TV history is out of reach, for now. The situation may change one day but, for now, I’ll keep with what I have.